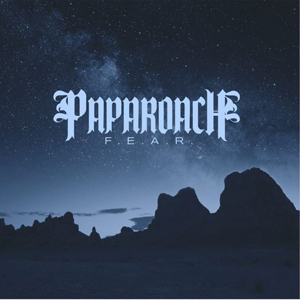 The new PAPA ROACH album, F.E.A.R. (Face Everything And Rise), is set for a Jan 27th release through the Eleven Seven Music Group. This Grammy Award-nominated, multi-platinum hard rock juggernaut has built its most infectious, invigorating, and incendiary body of work to date. This album will quickly prove, once again, why PAPA ROACH are one of the most dynamic and exciting rock bands on the planet. PAPA ROACH will also join forces with SEETHER to co-headline a month long nation-wide U.S. tour beginning this week. The powerful double bill kicks off on January 9th at Hard Rock Live in Orlando, FL and runs through February 7th. The pairing was meant to be. "We're really looking forward to going back out with our good friends PAPA ROACH and we're super excited to be bringing out our buddies Kyng and newcomers ISLANDER too," said SEETHER front man Shaun Morgan. "It will be an awesome show for all our fans. Can't wait to play some new music for you all!" PAPA ROACH front man Jacoby Shaddix adds “We are super excited to roll out on this tour with our brothers in SEETHER. Not only is it gonna be rad for the fans it's gonna be rad for us as well! We love and respect the guys in SEETHER. Can't wait to see the American fans and most importantly we can't wait to play our new material live!! The fans are in for a killer night of rock n roll at its finest.” With KYNG and ISLANDER in tow, this is an essential outing for rock fans across the country.